Instagram is no doubt, one of the biggest social media platform. but are you trying to delete your Instagram account permanently for some reasons? but you can’t as there is no direct option for this in the Instagram application. 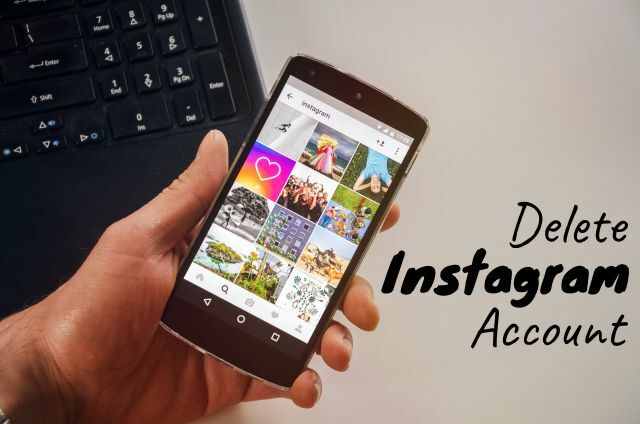 But in this post, I will teach you how to delete the Instagram account permanently, which is different from disabling the account. There are two options for making your Instagram account offline – You can disable it temporarily or delete permanently. So, what is the main difference between these? Deleting your account permanently will erase all your photos, videos, comments, likes and followers while Disabling it will simply make your data hidden, but all your content will be there when you reactivate it by logging back in. 1 How to Temporarily Disable / Deactivate Your Instagram Account ? 2 How to Delete Instagram Account Permanently ? How to Temporarily Disable / Deactivate Your Instagram Account ? When you temporarily disable your Instagram account, your profile, photos, videos, comments, likes and followers will be invisible until you reactivate it by logging back in. Open Instagram from a mobile or computer browser as You can’t temporarily disable your account from the app. Click on the profile icon in the top right corner and select “Edit Profile” next to your profile picture and user name. Click on the Temporarily Disable Account button. To reactivate your account after deactivating it, simply log into Instagram, your profile will be entirely reinstated. If you delete your Instagram account, It will permanently remove your profile, photos, videos, comments, likes and followers. After the account is deleted, you can’t sign up again with the same username that you deleted earlier or add that username to another account, and can’t reactivate deleted accounts. Open Instagram from a mobile or computer browser as You can’t permanently delete your account from the app. Select a reason from the drop-down menu next to Why are you deleting your account? Click on the Permanently delete my account button. Hope you liked our post—let us know what you think in the comments below.